The FIA has uncovered astonishing new findings of its own probe into Carlos Sainz's current FP3 injury at Sochi, and come to some conclusion which is noticeably different to that first idea. Sainz's automobile was thought to have submarined under the TecPro obstacle as a result of the low nose layout. 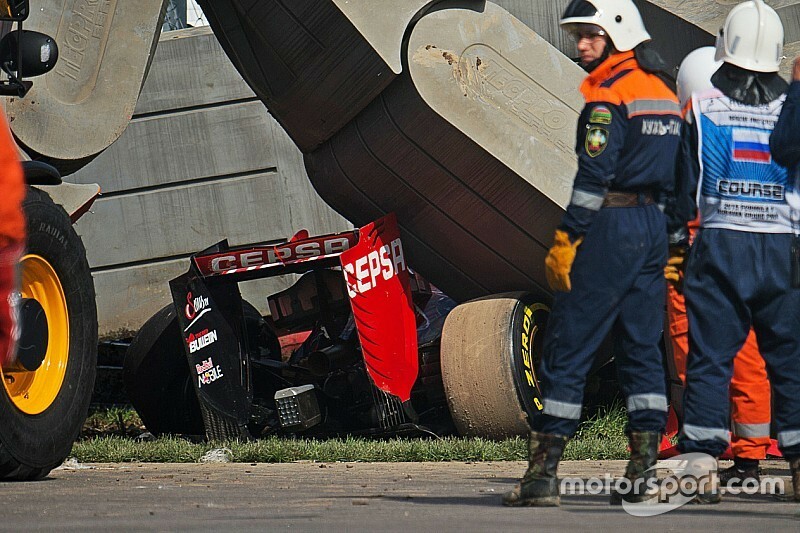 But the FIA's frame by frame investigation of the crash - disclosed to the press in Austin on Saturday night - reveals the TecPro obstacle had done its employment before bouncing onto the very best of Sainz's Rosso. This 'bounce-back' move - maybe not a submarining motion - is what trapped Sainz in his automobile, hampering his extraction by marshals. Laurent Mekies, FIA security manager, verified the impact using the TecPro obstacle was 153kph - "likely the best rate impact this year" - a frontal crash using a "40g-ish summit". The car decelerated from 153kph to zero in four metres. "It was rather an intense quit, also it's quite an excellent performance that the automobile and obstacles permitted the driver to wander from the crash," mentioned Mekies. "From the movie evaluation, you find the obstacle growing between 0.167s and 200milliseconds, at the very close of the effect when the automobile was stopped. "It does this when it's rallying from the Armco, which can be an essential thing for people to enhance and fix because it gave a number of concerns for the saving team. "But it had been rather another scenario when compared with an automobile submarining beneath the obstacle. It's clearly rather another decision compared to that which was was felt, offering us rather a challenge to conclude the best way to prevent that bouncing period, but it's also giving us assurance to the obstacle and auto operation in the crash." Wurz: crash data is "mindblowing"
GPDA chairman Alex Wurz additionally gave his response to the findings, saying the "amounts were rather mindblowing when you take into account that Carlos raced another day". "The point is it's extremely remarkable and is thanks to any or all the extreme work that is done," Wurz included. "We will not be quitting; Formula 1 is constantly striving for safer alternatives. "The problem that came up about Wurz being under the obstacle, this can be a thing that will surely be coped with, and we were assured of this and the drivers comprehend everything. "All the proto-col, the catastrophe and risk-management, was completed in an extremely satisfactory manner, as well as the every one of the motorists agreed and accepted this [in the drivers' briefing] yesterday."